Every maker has a story. Be a part of Creative Womanhood's story by placing an order, leaving a review, and seeing your review appear here. 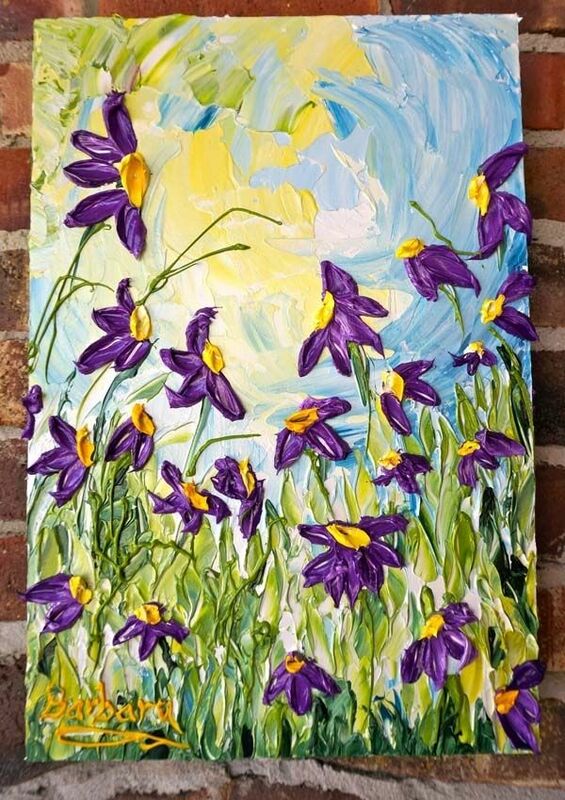 This 12"x18" impasto painting was crafted onto a handmade wooden canvas. This painting is colorful and cheerful, and features purple daisies. "Friendship" would be an excellent addition to a kid's bedroom, powder room, or anywhere that you think needs a pop of color!